A few months ago, I came into a new tool: the Cobra Head weeder and cultivator. This review was not solicited and I am not being compensated for it. The tool has a molded, recycled plastic handle that is quite sturdy and stays cool in my hand. 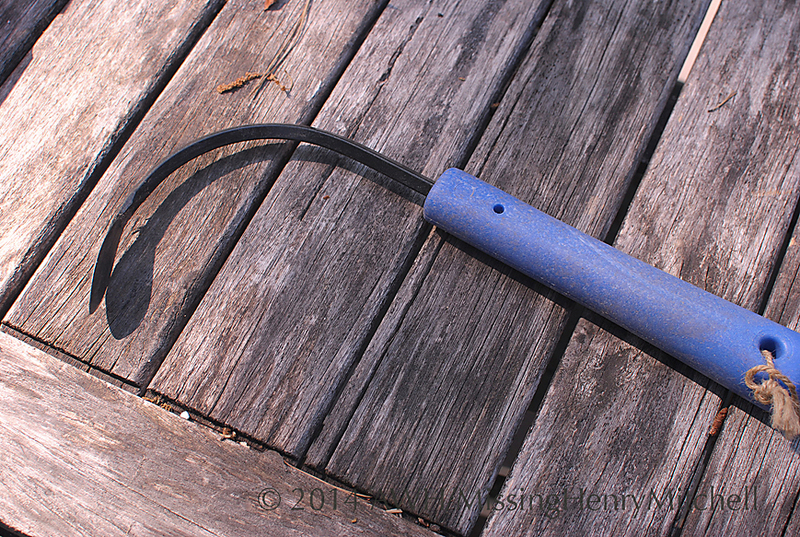 The bright blue color keeps the tool from getting lost in the grass or garden beds. The tool head is thin and wide, shaped like a cobra’s head (surprise). The company promotes the tool as behaving like “a steel fingernail.” It does. Its thin blade can wedge into spots that my dandelion weeder can’t. This tool brilliantly weeds the expansion joints in my concrete driveway and in between patio stones. One long scrape across the driveway cleared most of the weeds, and the deeply-rooted ones came out smoothly when I turned the tool 90 degrees and tipped the head under the roots. The tool is a fine cultivator as well. While I still prefer using a hand rake for bigger jobs, this tool can dig deeply into the soil, pull out tenacious roots, cut narrow slits for dropping in seedlings or transplants, and get into tight spots that other tools can’t. I haven’t used the tool for long periods of time, but I can imagine my hand might get tired after extended use because the blue plastic grip is hard and non-ergonomic. That’s the only complaint I have about the tool. If it came to the point that I developed muscle fatigue from using it, I would wrap a bit of pipe insulation around the handle to ease the burden on my hand. It can be used either left-handed or right-handed, by the way. This tool might not make my list of my top five essential garden tools, but it makes my top ten. I’ve only had it for two months, but already I find myself reaching for it regularly. I would recommend this tool to anyone. 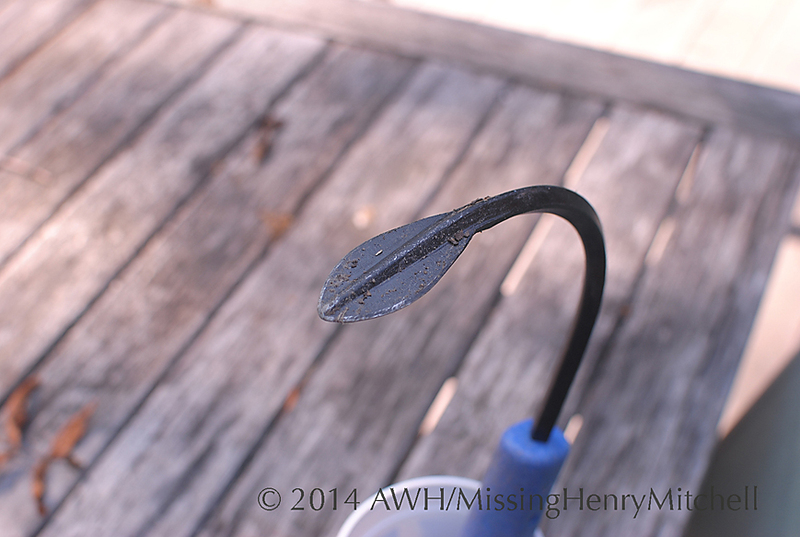 This entry was posted in 2014 and tagged Cobra Head weeder, cultivator, garden tools, weeder by missinghenrymitchell. Bookmark the permalink. The Cobrahead is an awesome garden tool. It’s in my top three (the others are my spade and a soil knife) and I often find it’s the only tool I need for weeding and planting small pots. Thanks for this. It looks really useful. I shall keep my eye out for it here.